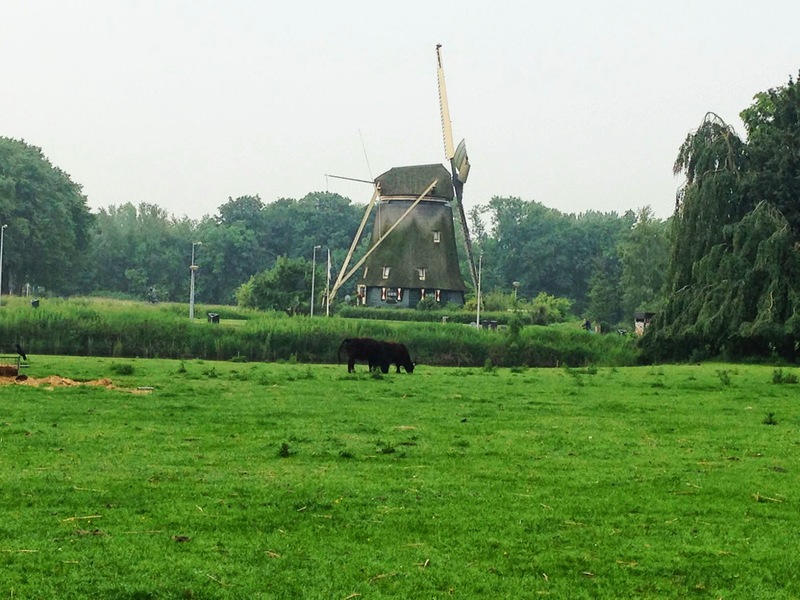 If you want to get a feel for typical Dutch countryside while you're in Amsterdam, then just head out of town along the Amstel River, and have a run through the fields and villages south of the city. Here's a route that starts at the RAI train station, reachable by Metro, tram and train. RAI is Amsterdam's convention center, located right near the river, just south of the center of town. 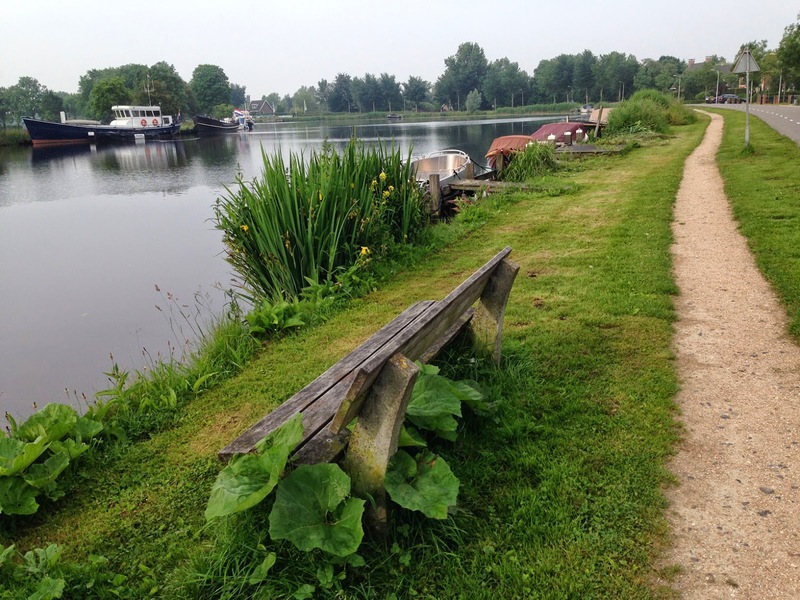 The route will then cut through the beautiful gardens of Amstelpark and then just head along the riverside trail to the village of Ouderkerk, where it crosses the river and heads back north again, along the other, quieter side. There are no other bridges between the north and south ends of this route. NOTE: If you want a longer run, just keep running south. The road along the river continues for many kilometers. 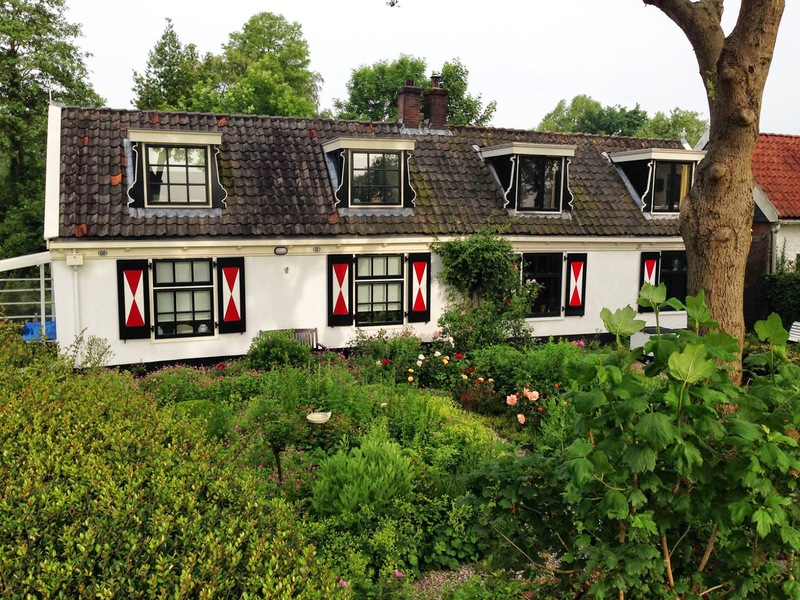 So, if you're ready to experience a bit of Dutch country life, let's get ourselves to the RAI train station. It's serviced by Metro lines 50 and 51, as well as the number-4 tram-line from the city center. Leave the station and head south along Europaboulevard, going under the motorway overpasses. This spot is loud and ugly, providing a good contrast to the relative paradise waiting just a few hundred meters away. 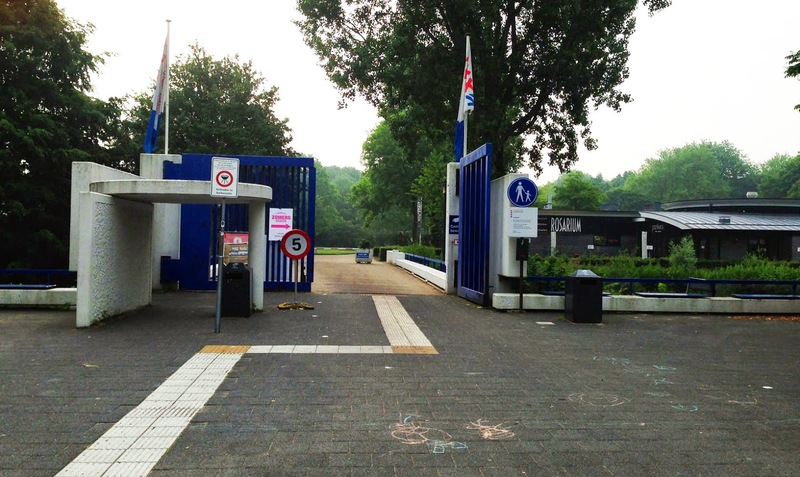 After passing the A10 Autosnelweg (motorway) entrance ramps on the left side, you'll see the main entrance into Amstelpark on the right, the white entrance with the blue gates. 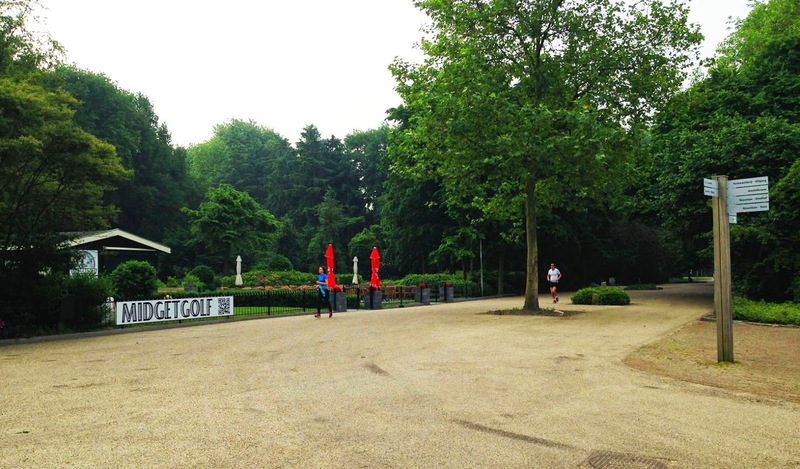 Run into the park and into the open square with the "Midgetgolf" course, and then turn right there to run south through the center of the park. Immediately, the RAI station seems like a distant, foreign nightmare as you soak up the great vibes from the green all around you. Amstelpark started life in 1972 as the Netherlands' biggest garden-show ever, and has remained one of the city's favorite parks. It's open from 8 a.m. (although I've found it open even earlier) till a half-hour before sunset. The park has ponds, playgrounds, a little railroad, lots of specialized gardens and ecological projects. A great place to feel good about the human race! The wooded areas have the feeling of a botanical garden, with lots of interesting trees creating exotic effects. Leave the park at its south entrance with the crazy-looking stainless-steel gates, and you'll run right towards an old windmill, the Riekermolen. This won't be the last windmill along this run, you'll pass another one later, on the other side of the river. Now take the path as it turns to the left, towards the riverside. Right behind the mill you come to the water. Now turn right and follow the river road southwards, with the water to your left. 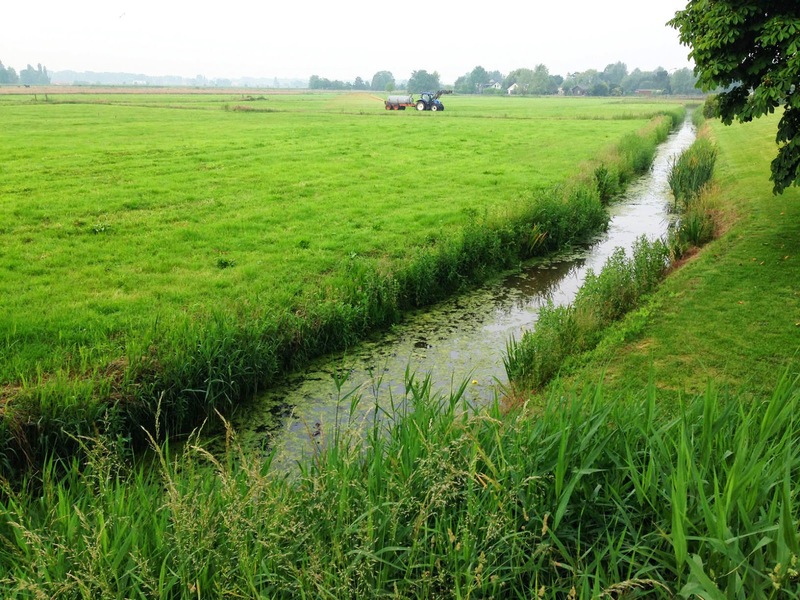 You'll just stay right along the water for the next five kilometers on this road called Amsteldijk. You have a choice of either running along the narrow gravel pedestrian trail or along the bicycle paths on the edge of the narrow road. The road is open for cars, but with little traffic. There are more bikes than cars. And the road along the other side of the river is even quieter, with fewer houses and cars. I followed the trail -- because I like natural surfaces and hate traffic -- but all the other runners were on the bike lanes. The scenery soon opens up to fields and farmhouses, with a horizon that sometimes goes out forever across the flat landscape. There are occasional rowboats, geese, swans, egrets and other waterbirds, a nice relaxing bit of country. 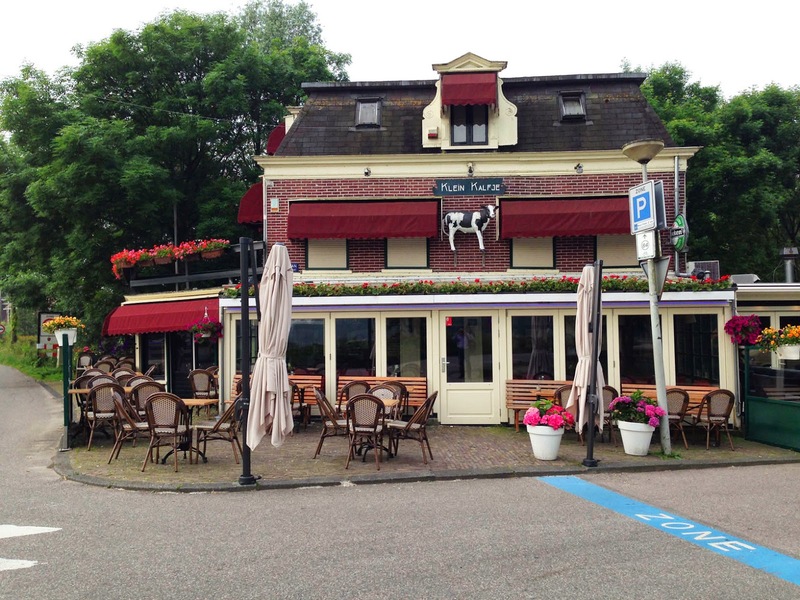 When you reach Ouderkerk at the 5.5-km mark, you'll come to the main street-crossing (at Oranjebaan) in the village, with the bridge crossing the river to the other half of the village on the opposite riverside. But rather than crossing here, keep going south for a few blocks to see the nicest part of the village, with the old houses. It's a charming place, with boats docked-up along next to the riverside restaurant tables. 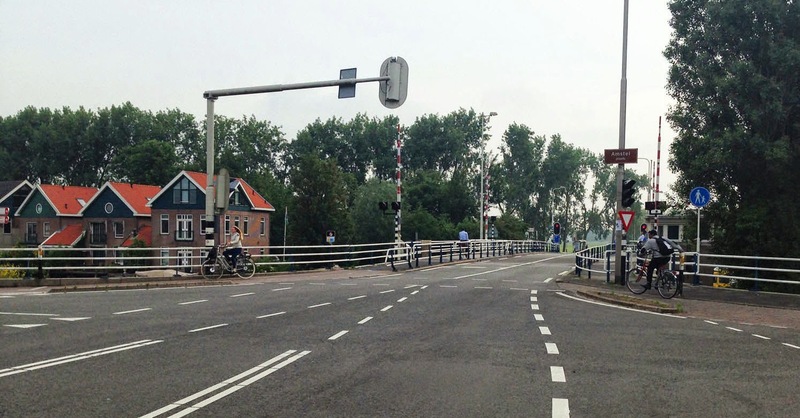 When you reach the south end of the village, turn around and run back to the crossing at Oranjebaan, turn right and cross the bridge. Turn left at the first cross-street, Hoger Einde, on the other side, and follow this riverside road northwards along the east side of the river. 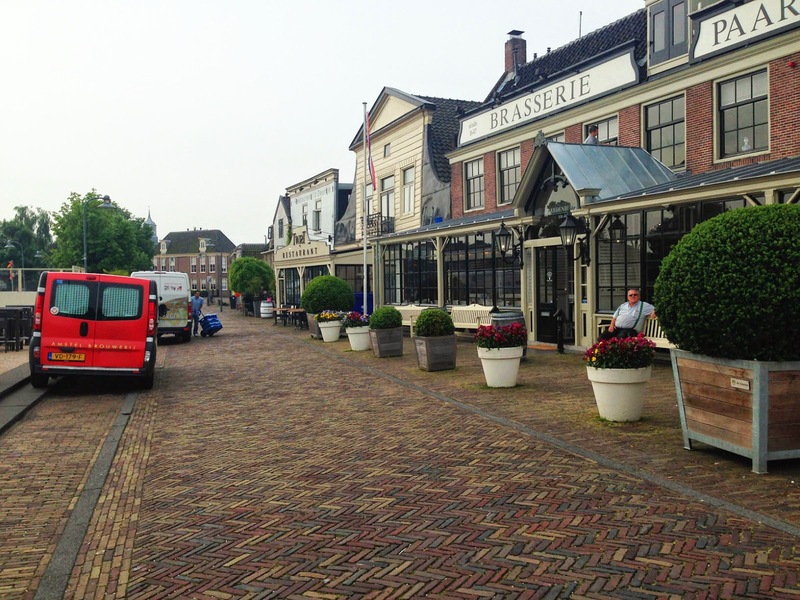 The street-name later changes to Ouderkerkerdijk, but it's similar to Amsteldijk: just a few local cars and tractors -- and quite a few bikes -- make their way down the road. You'll soon be among fields again, with cows and sheep staring at you blankly as you cruise by. 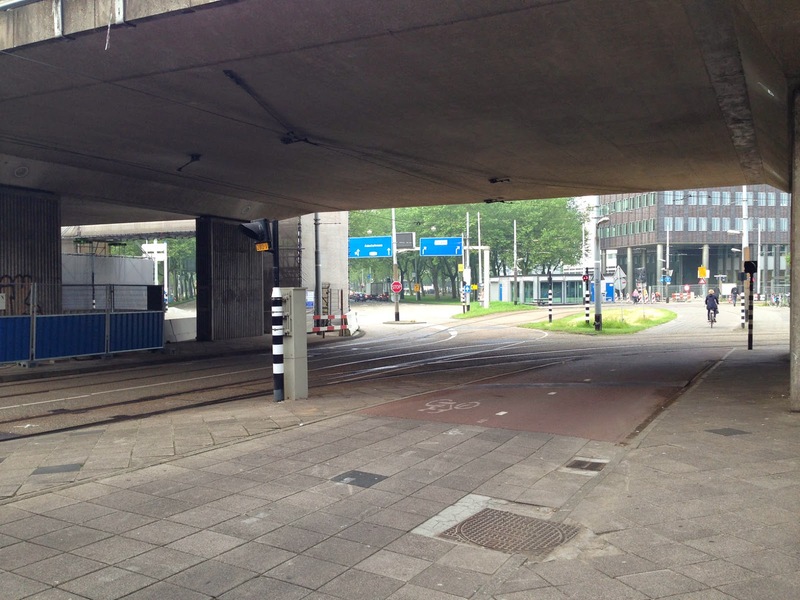 When you get back to the spot opposite Amstelpark, you'll approach the loud A10 motorway bridge. There is a pedestrian/bike track on south side of the bridge. Run up the ramp up to the bridge and now cross to the Amstel. On the other side, run down the other ramp and head along the north edge of Amstelpark to Europaboulevard again, past the old defensive bastion in the north end of the park. At Europaboulevard, turn right and run the last 100 meters back to the RAI Station entrance. Thank you so much for suggesting this route. I'm in Amsterdam, for a conference (at the RAI), so this was perfect. I really enjoyed the route. Glad you enjoyed it! 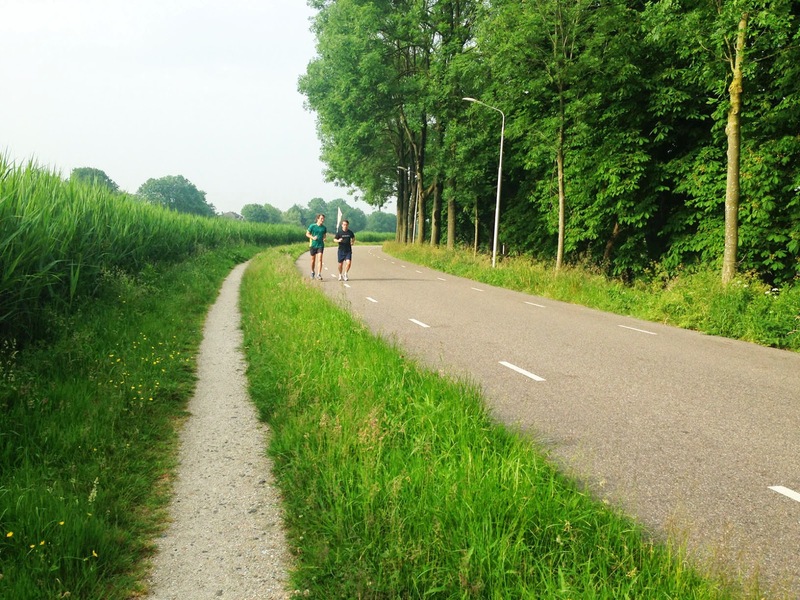 You might like running in the other nearby route, too: in the Amsterdamse Bos.